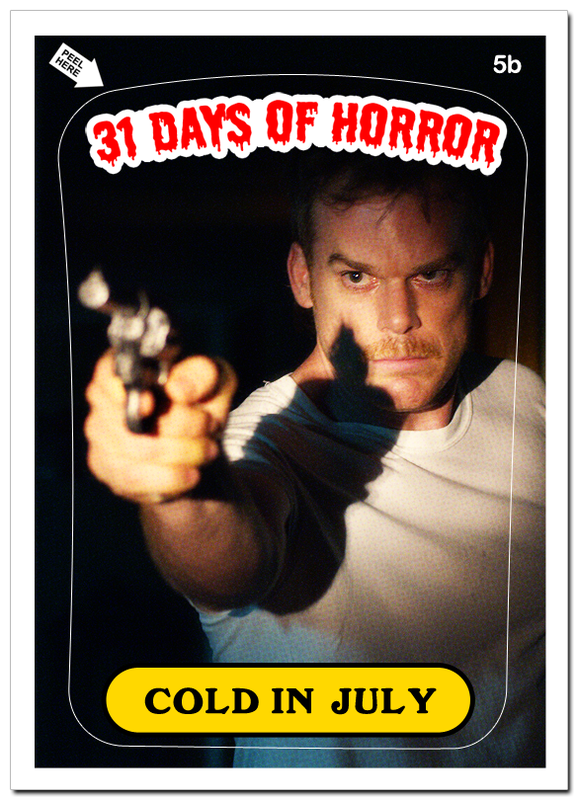 While not a horror movie per se, Cold in July definitely has a lot of elements of a bonafide horror movie. From the original novel by Joe R. Lansdale, whose work frequently veers into horror territory, to the director, Jim Mickle, who has batted .1000% so far in his directing career, churning out very well received horror titles Mulberry Street, Stake Land and We Are What We Are to the film’s lead, Michael C. Hall, known the world over as Dexter Morgan. All of those pieces coupled with a very 1980’s, John Carpenteresque synth score by Jeff Grace and you have a pretty damn good film that will satisfy horror-buffs, even if it is a “neo-noir crime thriller”.